ISLAMABAD: The federal government has vowed to continue former prime minister’s policies in AJK and would work in coordination with state government for completion of ongoing and new development projects to bring prosperity in AJK in accordance with the vision of Nawaz Sharif. 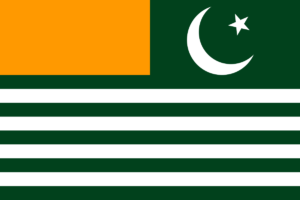 According to a statement, the Federal Minister for Kashmir Affairs and G-B Barjees Tahir on Monday assured AJK Prime Minister Raja Farooq Haider that the new government of PML-N will continue and carry on with all economic support to AJK government in continuation of former prime minister’s policies and vision. Tahir, in a meeting with AJK PM said that Nawaz had expressed great admiration and affection for Kashmiris which was evident from 100 per cent increase in fiscal budgetary allocation and initiation of CPEC Projects in AJK. 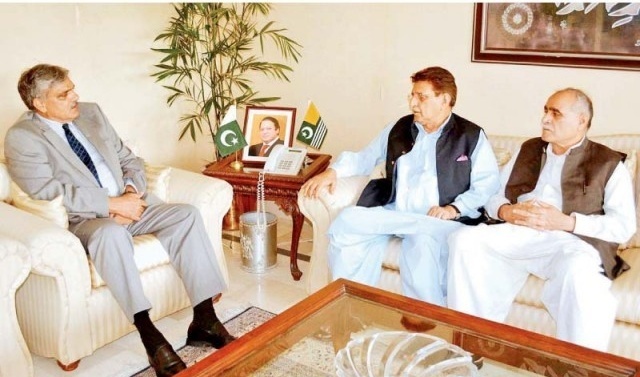 At this AJK Prime Minister Raja Farooq Haider said that a politically and economically strong Pakistan was very important for resolution of Kashmir issue according to wishes of Kashmiris. The people of state had expressed their exceptional trust in former prime minister Nawaz Sharif by giving a vast mandate to PML-N in last general elections. Haider however, also declared that they will strive for restoration of merit and transparent policies and system in AJK according to vision of Nawaz Sharif.